I think one of my friends on FB posted this pic too...love it! Teresa - I saw this picture on both Google + and FB. 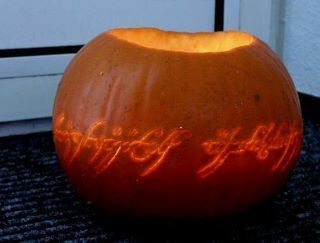 I wish I knew who carved the pumpkin, so I could give them credit.